Mass resume, portfolio and passport photo taking with digital soft copies and instant print out. 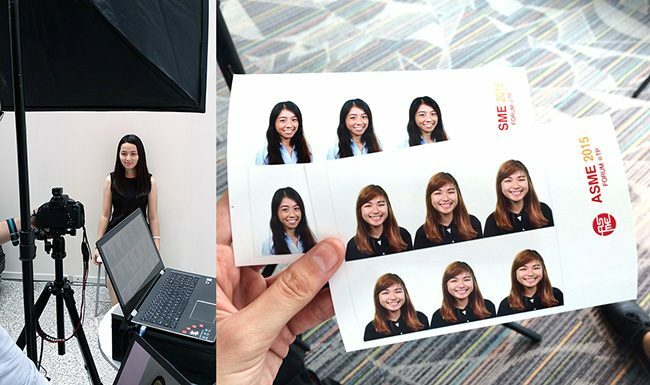 Portable studio (photo taking at your office/ institution) for your resume/ passport solution with our professional studio grade equipment, DSLR and industrial hi-speed printer. Our service includes complementary soft copies and instant print out. Hence, your guests can use the digital format for online submission. Our system software is automatic and subjects are guided by our experienced photographer. The entire process from photo shoot (multiple re-takes) to printing only requires less than 2 minutes per person. As the entire system (printing) and processing (digital photos) are performed on-site, there is not longer days of waiting for the photos. Subjects can share their digital soft copies instantly to their emails via our on-site Sharing Kiosk. Cheese Effects also provides many add-on services such as professional make up and blazer rental service to accommodate roadshows. Souvenirs that capture your heart and the special moment. Photos are captured and developed immediately for your guests. Souvenirs are distributed by us along with the photo print out after photo taking. Print out template can be customized with cutting lines. Hence the cut out will fit exactly into any photo slot dimension. 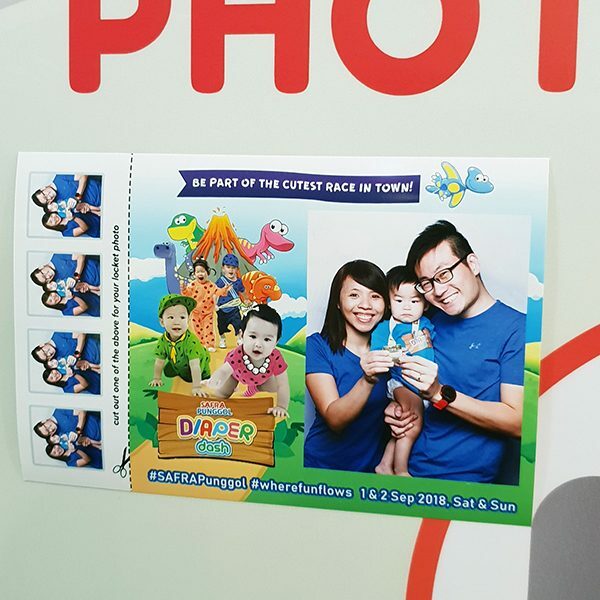 Case Study: Punggol SAFRA engaged our instant ID photo service for their annual Diaper Dash. 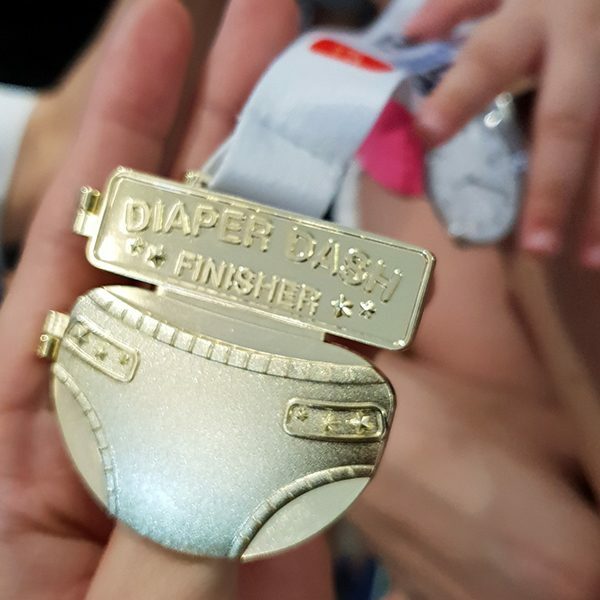 Participant in the Diaper Dash competition are awarded with medal locket that has a photo slot. Our photo booth staff captured the family’s photo for them with instant printing. 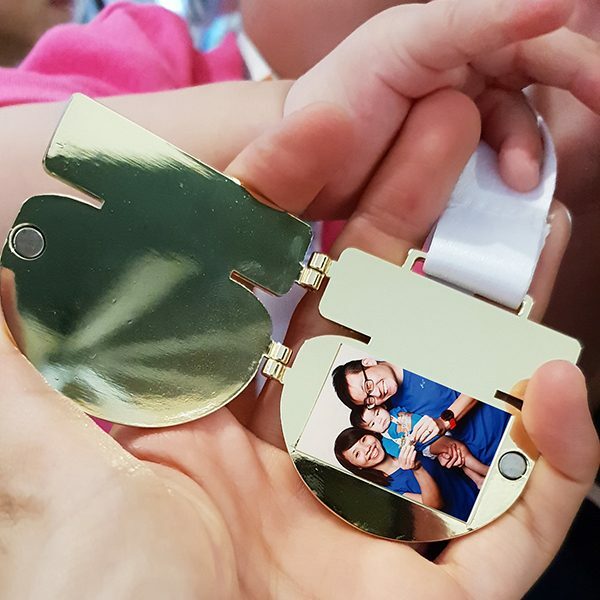 The developed print includes 4 mini and 1 large photos, where the mini photo can be cut out for the locket. In addition, the large photo with event designs can be separated aside for guests’ keeping. If you’re seeking that extra spark of fun for your event, get in touch with the good folks at Cheese Effects for your event needs!